Spoken Word is a uniquely African American art form, which has for decades been part of the historic oral tradition of African peoples. And, in the Midwest, no one is better known for its moving, dramatic, sometimes comedic, always poignant presentation than Felicia Webster. 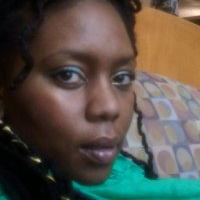 Felicia, also known as Withlove,Felicia, combines relevant, social changing, historical and heartfelt words into lyrically moving pieces that invite her audience/students to find their reflection in her and to ignite healing in their own writing. Having performed and taught in schools, arts venues, nightclubs, colleges and universities, community centers, homeless shelters, drug and alcohol healing centers and theaters Felicia Webster has become a much sought-after artist. Her workshops include a combination of historical background, performance and she has also been known to use other artistic mediums to support the written word with her students, like collaging and drawing. Felicia says, “The arts gave me a voice when the world ignored my cry. Now I create artistic spaces to share, heal and perform those words we’ve kept hidden from ourselves someone would love to hear, and invite others to do so in a safe space of love.